The band released their debut album Give Up on 18 February 2003 at Sub Pop label. Several songs on this album feature guest vocals from Jenny Lewis, the lead singer of Rilo Kiley, a band which was once on the same label as Death Cab (Barsuk Records) and vocals from Jen Wood, an indie rock solo artist. Chris Walla recorded some of the songs and played the piano on Nothing Better. Despite the fact that their main bands are still active, The Postal Service has supported its full-length album Give Up with a successful concert tour and has stated intentions to tour more in the future. The album's most notable single was Such Great Heights that has been featured in various television commercials, series, and movie trailers also remixed by John Tejada. The album also recently became the most successful album for the Sub Pop label since Nirvana's debut album Bleach. The Postal Service more recently contributed a cover of Against All Odds to the soundtrack to the 2004 motion picture Wicker Park, and the band has worked on several remixes of other artists, including Do You Realize?? (Postal Service remix) (from Yoshimi Battles The Pink Robots) and Little Girl Blue (Postal Service Remix) (from Verve Remixed 3) and Mushaboom (Postal Service Remix). 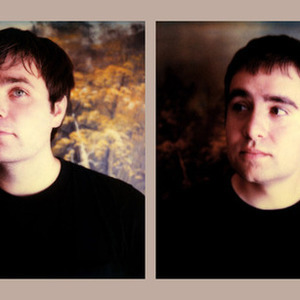 Gibbard doesn't sing on these remixes (except for Feist's Mushaboom), and it is likely that he has granted Jimmy Tamborello permission to work alone under the name The Postal Service. At least two songs have been recorded as of June 2006 for the newest The Postal Service album.